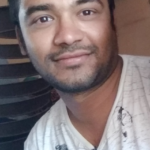 If you have recently upgraded your phone then you can turn your old mobile as security camera or I can say IP webcam and access easily from any remote location. Interesting thing is by this way you can easily utilize unneeded Android smartphone lying around. Even for time being you can use your new mobile and access webcam from any location. So Once you read how we can do this then you will realize that smart phone can be use for many interesting purpose when you thing out of box. So Here we will guide you through all steps of turning your android handset into IP camera with help of free and easy to use app. WI-FI- connection to keep running app. Device to access camera- Either other mobile or computer device. Now without further delay, let’s get things done! 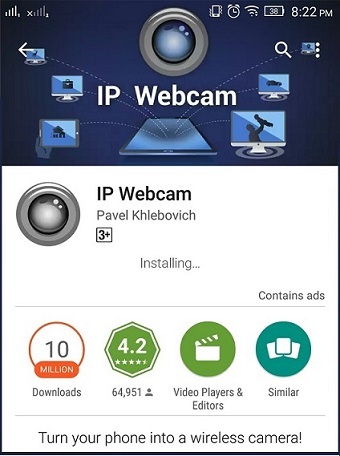 Step 1: Download app from IP webcam from Google Play and install in old android mobile.Once you install then it looks like below.. 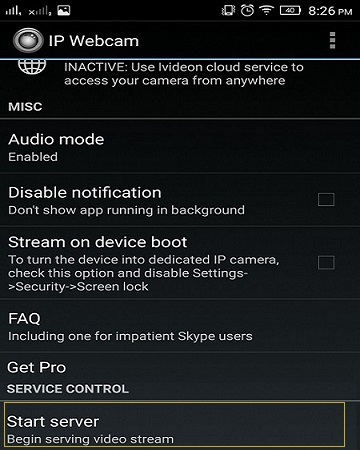 Step 2: Launch IP webcam App and set your video preference like video resolution, photo resolution, camera and many more but lets keep them same and move back and go down till last Start server option. 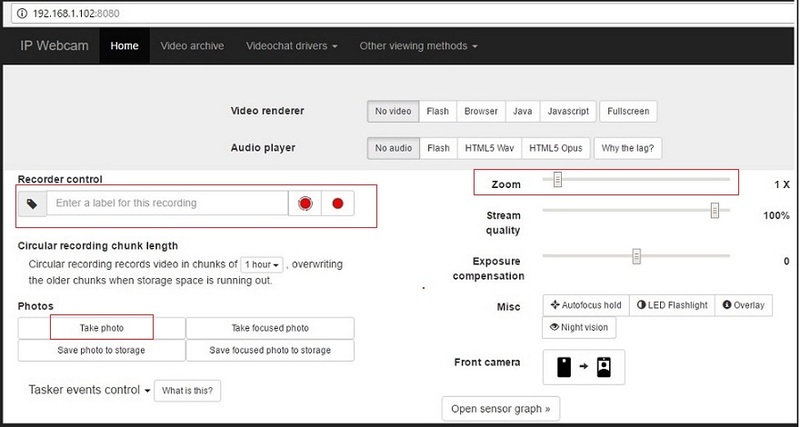 Step 3: To start streaming click on Start server and you can see your camera start working as webcam. Step 4: But now catch is, where you can see this captured video? So do you see IP address on your mobile screen and that’s the address which you need to browse from other device to access video recording. Steps 5: Once you browse given IP address then you will see options like zooming to take photo to record video and many more. Once you done recording then you can open recording from video archive option at top middle.You can even watch all old archive video also. 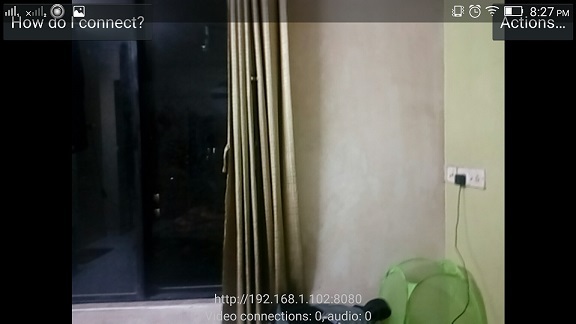 Hope you will try to make your old android mobile as webcam by using IP webcam app and enjoy this tutorial.